Anuj has over thirty years of experience in Asian Development and Corporate Finance. In 2007, Anuj was appointed the India Managing Director at ARCH Capital Management (a member of the Ayala Group of Companies, Philippines), an Asian Real Estate Private Equity Fund and he held this position for six years. Anuj managed a joint investment between ARCH Capital and Mahindra Residential, implementing the gated community, ‘Aqualily’ ‒a premium residential development as part of Mahindra World City, in Chennai, India. 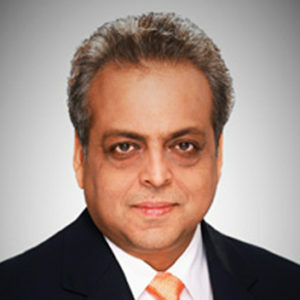 Previously, Anuj was the Managing Director at Surya Consultindo, a Jakarta-based financial and strategic business advisory firm for six years, and he was also Director of Finance and Business Development at Menara Duta, a commercial property development company, an Ayala JV Company, in Indonesia for nine years. Anuj is a Qualified Chartered Accountant. He attained his Advanced Management Program qualifications from the Asia Institute of Management, Manila, and Bachelor of Commerce and Economics from the University of Bombay, India. Anuj comes with a breadth of financial and corporate experience in the Asian, Indian and Australian arena. He is a member of the Indonesia Australia Business Council in Jakarta and is highly respected within the industry. Anuj is called upon to give commentary at public speaking engagements on private equity, debt restructuring and joint infrastructure formations.